This is a proposal for modifications to a previously approved garage to add dormers, center the garage door, add windows, and relocate a door. The site is located east of Franklin Street, approximately 400 feet south of the intersection with West Bridge Street. 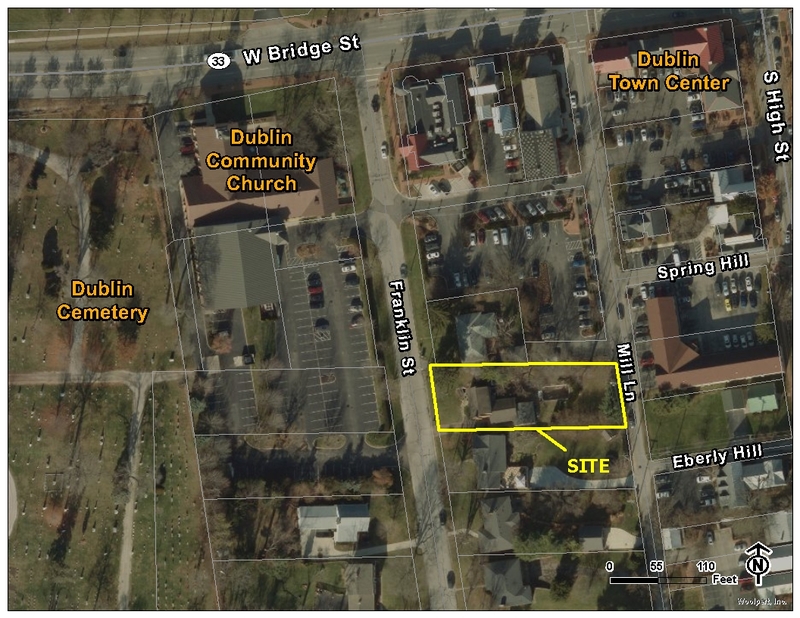 This is a request for review and approval of a Minor Project Review under the provisions of Zoning Code Section 153.066, 154.170, and the Historic Dublin Design Guidelines.